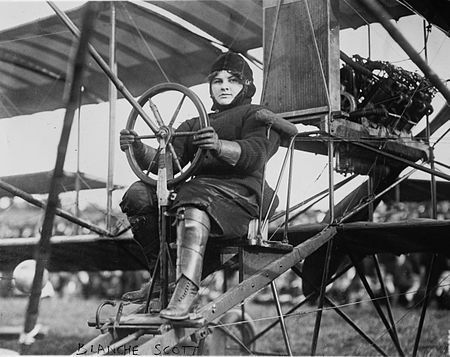 Blanche Scott was the first women to drive across the United States and the first women to fly. Born in 1889, Blanche Scott’s life spanned from the era of airplane invention, to seeing the first man walk on the moon. In an age when women couldn’t vote and their place was considered to be at home, she became the first woman to drive across the US. There were only 218 miles of roads outside the cities. Photo courtesy Wikepedia: Blanche Stuart Scott seated at the controls of a Curtiss Model D, circa early 1910s. She became the first women to take a shot solo hop in the air, when an aircraft she was taxing lifted off the ground. She was the first and only women to receive flight instruction from Glenn Curtiss. She made her first public flight in October 1910. March is Women History Month, and Women of Aviation Month.